Will 2018 be the year that you keep your New Year’s Resolutions? 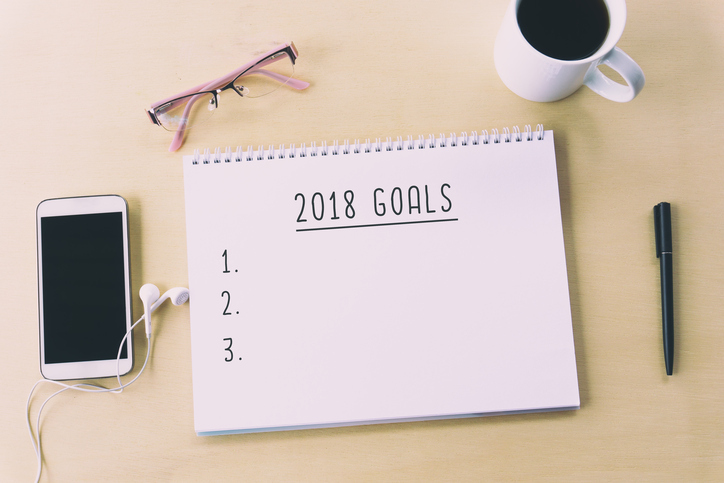 While some have expressed disbelief in the tradition, and others simply don’t follow through, creating achievable resolutions can make you feel more in control of your life. And, when they are centered around a healthier you, they can not only make you feel better, a new study shows these resolutions can significantly lower your risks of cancer diagnosis and have lasting benefits to your overall health. The study, published in the journal “ecancermedicalscience” reported that many of these healthy lifestyle choices can reduce your chance of developing cancer by up to 33 percent. You don’t have to trek daily for an hour workout at the gym, but putting yourself on a minimum amount of at least moderate physical activity is important for your overall health and it can lower your risk of cancer as well as heart disease and diabetes. According to the American Cancer Society, the latest exercise recommendation for adults is two hours and 30 minutes of moderate-intensity activity or one hour and 15 minutes of vigorous activity every week to maintain a healthy weight. Getting in a 30-minute brisk walk daily would be all you need. Maintaining a clean diet is an essential part of improving health and lowering your risk of cancer and other diseases. It is important to find the right balance between all of the different nutrients that your body needs, including: starchy foods such as bread, rice, potatoes, pasta; fruit and vegetables; milk and dairy foods; protein foods like meat, fish, eggs, nuts, tofu, beans, pulses, etc; and even a small amount of fatty and sugary foods. A balanced diet generally contains food from each of these food groups. In addition, plenty of fibre and water in your diet is also important for your health. To make the change in your eating lifestyle, start by identifying foods you typically consume on a daily or weekly basis. Gradually begin cutting out those that are high in fat, sugar and calories and replace with more fruits, vegetables and whole grains. You can use this shopping list the next time you visit the grocery store and start filling your cart and your kitchen with these healthy foods. Always talk to your doctor before making any major changes to your diet. About 80 percent of lung cancer deaths are caused by smoking, according to the American Cancer Society. So, this seems like an obvious step for preventing cancer, but you need to know that it’s never too late to make it happen. Quitting smoking can slowly reverse the risks. Besides tobacco use contributing to cancer, it also is a risk factor for other lung diseases like emphysema and chronic bronchitis, heart attacks, strokes and blood vessel diseases. The best way to avoid these is to not use tobacco products at all and avoid harmful secondhand smoke. Quitting smoking can be difficult for many, but the American Cancer Society has many online tips and guides to help you make this long-term lifestyle change. Your doctor can also help. Don’t wait until there’s a serious problem. If your family has a history of cancer diagnoses, the best way to reduce your risk of disease is to take early detection seriously and be proactive about scheduling regular visits to your doctor. The cancer experts at Orange County CyberKnife & Radiation Oncology Center can also answer any questions you have through our online message form. Although we treat many types of cancer, we would definitely prefer not to see you at all. So ring in the New Year by keeping those healthy New Year’s Resolutions! Cheers to your health! If you are receiving cancer care at Orange County CyberKnife & Radiation Oncology Center, we recommend you discuss your holiday plans with your radiation oncologist, especially if they involve travel. We can help suggest other tips that might be helpful for you. There will always be a doctor and nurse on call at our office, but if you’re traveling out of town, you will want to find out who you should contact if you have any issues and how you can contact them. If you are expecting results over the holidays, make sure you find out when you will receive them in case there are any delays due to the holidays. Give us a call at (714) 962-7100 and let us help you cope with this holiday season with care and compassion.